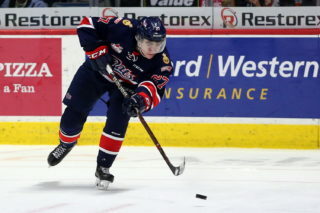 The Regina Pats (12-33-1-1) return to action on home ice on Friday against the Brandon Wheat Kings (19-18-3-3). Puck drop is at 7:00 p.m. at the Brandt Centre. 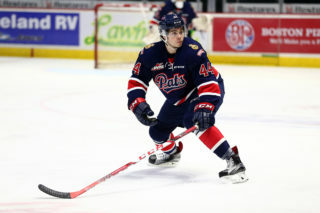 The Pats are coming off a 4-2 loss to Saskatoon on Saturday at the Brandt Centre. The Wheat Kings were last in action on Saturday, picking up a 7-5 win over Kootenay. Tonight is the fifth of eight meetings between Regina and Brandon, the Pats are 2-2-0-0 so far in the season series. Tonight’s game can be heard with Bennett Dunlop Ford Pats Hockey starting at 6:35 p.m. on 620 CKRM and will also be broadcast on Access 7. 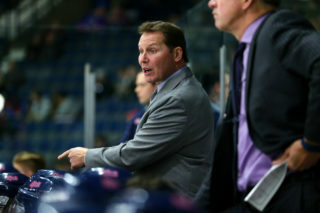 The Regina Pats battled hard in a 4-2 loss to the Saskatoon Blades on Saturday night at the Brandt Centre. The Blades scored the lone goal of the first on the powerplay from Eric Florchuk and led 1-0 after one, despite the Pats leading 16-13 on the shot clock. In the second, the Blades added two more and led 3-0 after 40 minutes. In the third, the Pats broke through on a shorthanded penalty shot from Duncan Pierce, his seventh and it was 3-1. Saskatoon got the three-goal lead back four minutes later, but Regina responded with another shorthanded marker, this one from Riley Krane, his 10th of the season to cut the lead to 4-2. The Pats pulled Dean McNabb for the extra attacker late, but could not draw any closer and fell 4-2. The Pats outshot Saskatoon 33-32, the powerplay was oh for three and the penalty kill four for five. 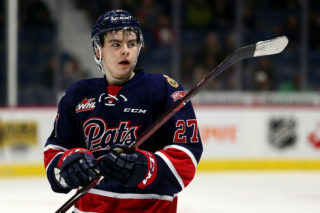 The Pats scored both of their goals against Saskatoon on Saturday while shorthanded and have picked up three goals while on the penalty kill in their last four games. Brady Pouteau scored a shorty last Wednesday against the Kootenay ICE and then Duncan Pierce and Riley Krane scored on Saturday against the Blades. For the season, the Pats are up to six shorthanded goals, which is tied for seventh most in the WHL. In 13 games since the Christmas Break, the Pats have gone 48 for 62 on the penalty kill (77.4 per cent) to go along with those three shorthanded markers. Pats 18-year-old forwards Duncan Pierce and Riley Krane are riding career-high five game point streaks entering Friday night against the Wheat Kings. Pierce has put up three goals and three assists in that stretch, while Krane has scored twice and added three helpers. 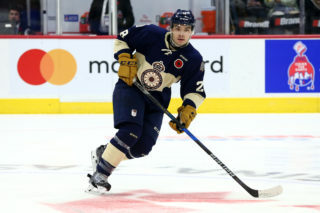 For Pierce, he is up to 16 points on the year, seven of them goals, in 41 games, which is tied for fourth on the team. Krane meanwhile, has put up 10 points in his last 12 games and sits second on the team with 10 goals and 19 points. His 10 goals are tied for eighth among all WHL rookies and his 19 points are tied for 18th. The Pats called up 17-year-old goaltender Carter Woodside on Monday from the Prince Albert Mintos of the SMHL. In a corresponding move, reassigned 17-year-old goalie Matthew Pesenti to the Saskatoon Blazers of the SMHL. Woodside is 8-12-0-0 with the Mintos this year, with a 3.30 GAA and a .900 save percentage.